This is a fresh new twist on our most popular notebook, ever. May we introduce Pink "Inky Thinkings". A quality, chunky A5 notebook made by the good folk at Notebook Love. 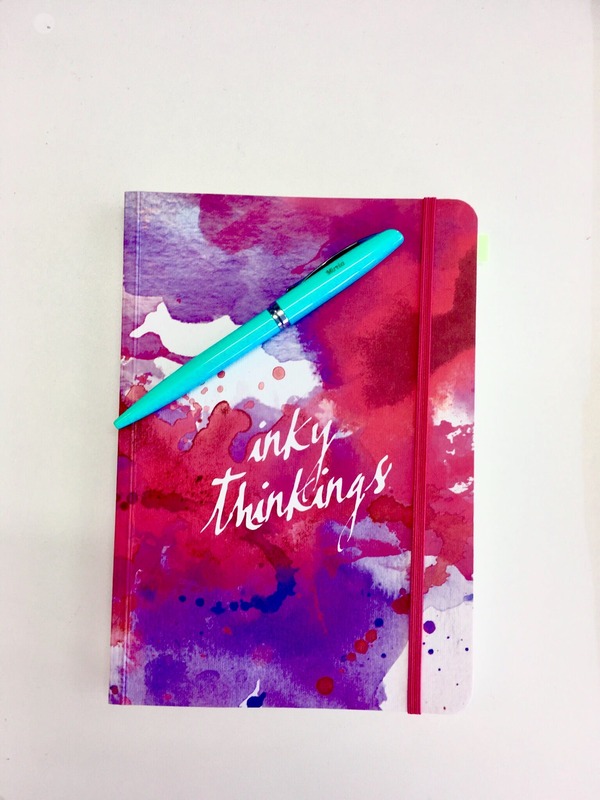 The new "Inky Thinkings" notebook features a pink and purple swirly ink design on a thick textured cover. With 192 ruled cream pages (Forest Stewardship Council approved), elasticated closure and contrasting inside cover it is perfect for writers, journaling, to-dos or the thoughtful gift. Lovely notebook! It’s the second notebook i got from Notebook Love :) excellent customer service and fantastic quality! Work notes look better in this notebook! A very high quality and trendy notebook, love it! A very high quality and trendy notebook, love it! Perfect as a gift or just for yourself. Highly recommended! Thanks so much for a wonderful review! So glad you’re so happy.